"Get All The Information You Need As Well As Some Humor To Help You Benefit From Failures!" Most new businesses will fail and that is a statistically proven fact. That should not prevent an entrepreneur from commencing a new business because even if the new business does fail there will be lessons that can be learned from it. If you count yourself among people who want to fail, there are some suggestions for how you are able to do a better job of staving off success and ensuring absolute failure till you die. Is your search for success making your life difficult... maybe even miserable and you would just rather continue to fail? There are people who occasionally screw up and accidentally do something correct. Theyâ€™re commonly able to countermine these unwanted successes in short order, however they like it best when they may prevent these favorable experiences from ever occurring in the first place. 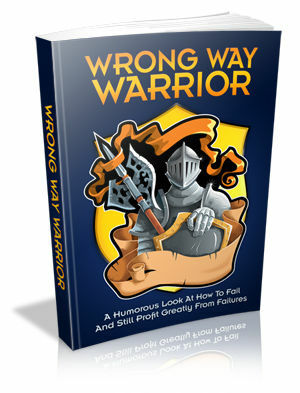 Changing The Way You View Errors Successes And Failures Could Change Your Life!" Three basics lessons can be taught about failure and what is learned should be applied in your life. The lessons are common sense and simple and probably because they work. You need to know these lessons if you choose to fail or succeed. And if you have never been taught this... this could really be causing you some issues and problems in your day to day life. And the worst part? The longer it goes on the harder it is to CHANGE! "The Costs of NOT Learning About Success And Failure Are Just Too High!" You see... if you want to fail...Take stock of which habits are producing the better results for you, and desert them. Substitute them with habits that see to it thereâ€™s no forward advancement. Even better are habits that induce reversion. The costs of continuing to repeat this pattern are just too steep...unless you just want to go on failing and then you are on the right path. And this is ONLY ONE example. So today -- in the next FEW MINUTES, in fact -- weâ€™re going to help you STOP taking the wrong steps, and learn how you can quickly and easily get your life under control... for GOOD! "This Book Below Will Show You Exactly What What You Need To Do To Learn From Errors!" To fail...Donâ€™t be too originative or attempt to innovate or aquire knowledge. Donâ€™t do anything at all. Style and knowledge is too similar success. As a person just like you who has struggled with learning from errors, I have searched high and low to find the best strategies to fix this problem and I am fully qualified and equipped to help you put an end to the lack of success along with some humor. Because of the enormous emphasis that we all place on success and successful performance there is a need to design ways to measure performance that balance accountability with the freedom to make mistakes. 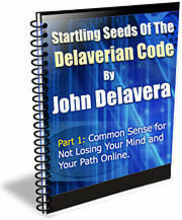 This powerful tool will provide you with everything you need to know to be a success. Of course if you want to continue employing most of the failure techniques you have been using, then you shouldnâ€™t have to concern yourself about success, happiness, and fulfillment tainting your dreary existence. You are able to relax and coast to the casket from here. Thankfully, you are a sharp person... otherwise you wouldn't be looking for a way to better your life.